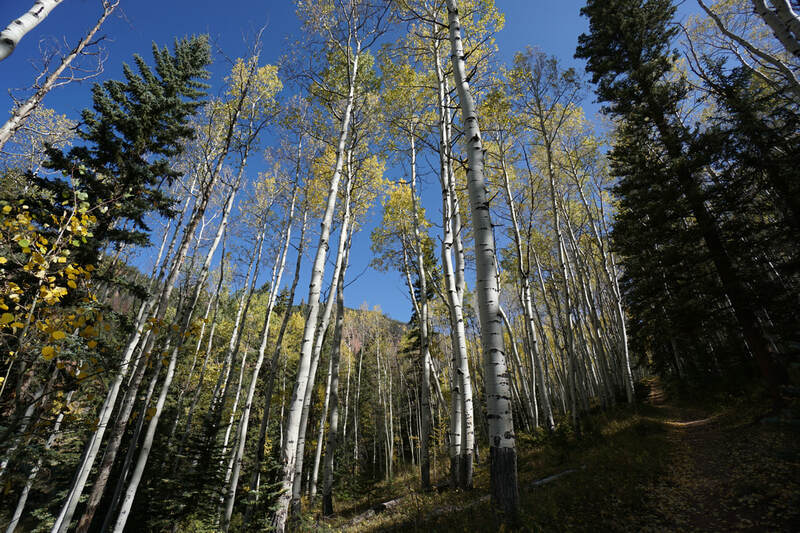 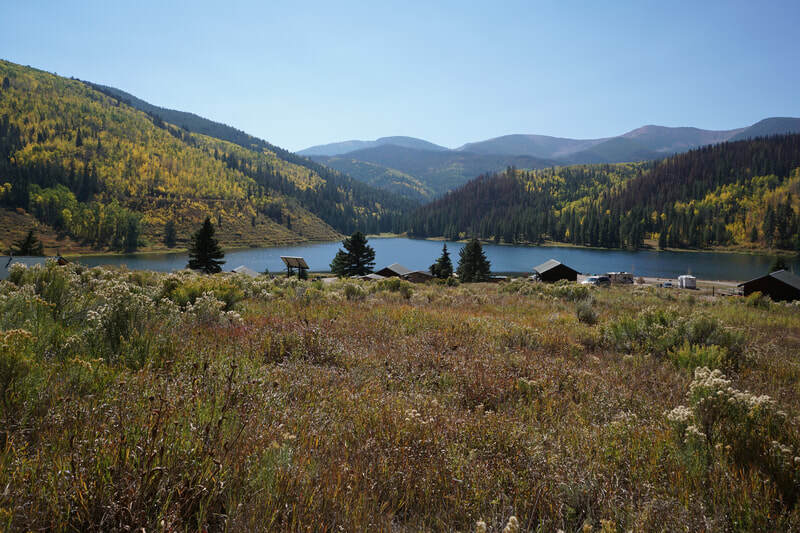 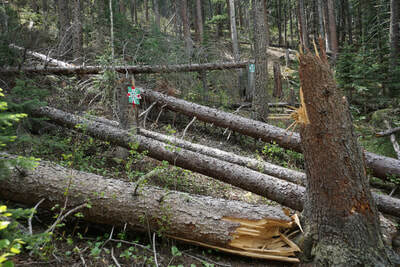 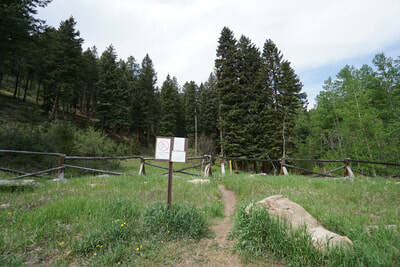 DIRECTIONS (from USFS webpage): ​From I-70, take exit 240 north into Idaho Springs. Follow Miner Street to Soda Creek Road, which goes under the interstate and past Indian Springs Resort. Follow Soda Creek Road for approximately 3 miles to a large turn out. 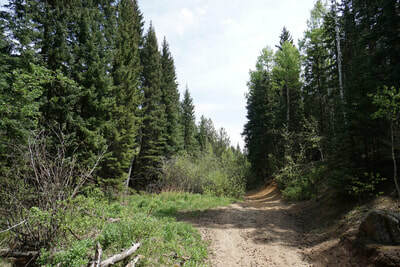 The last 3/4 of a mile is rough dirt road with large potholes, SUV or 4x4 recommended. 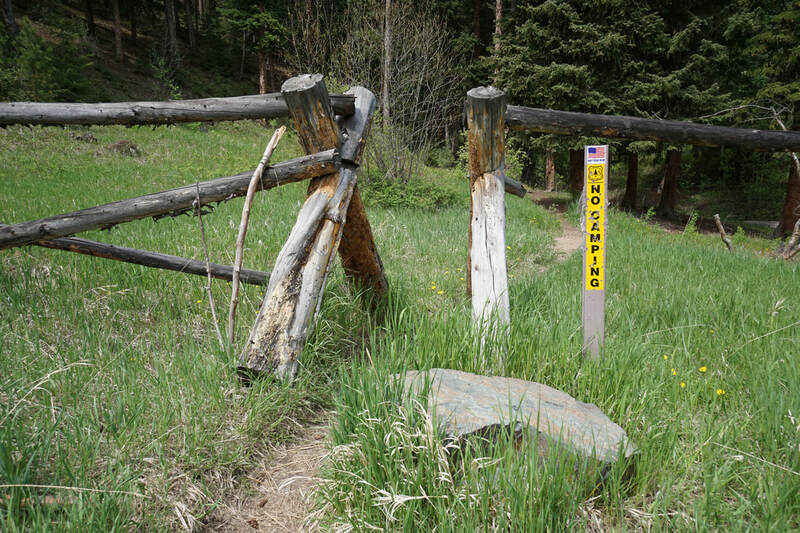 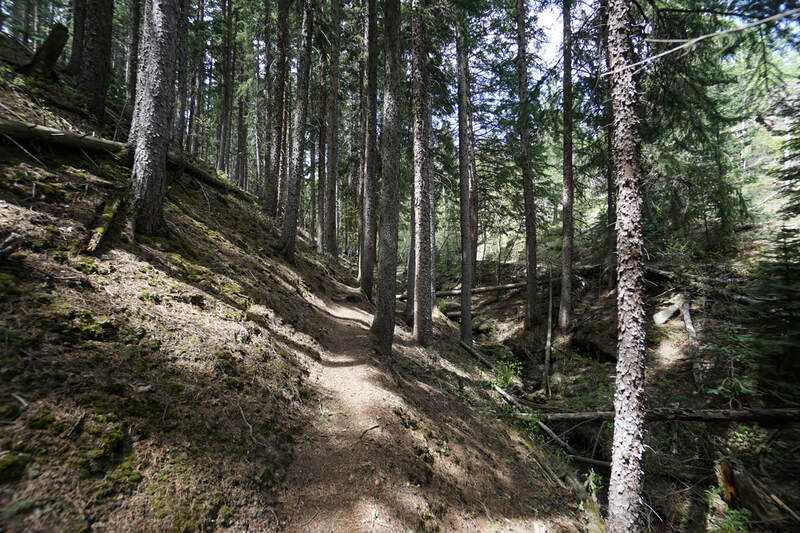 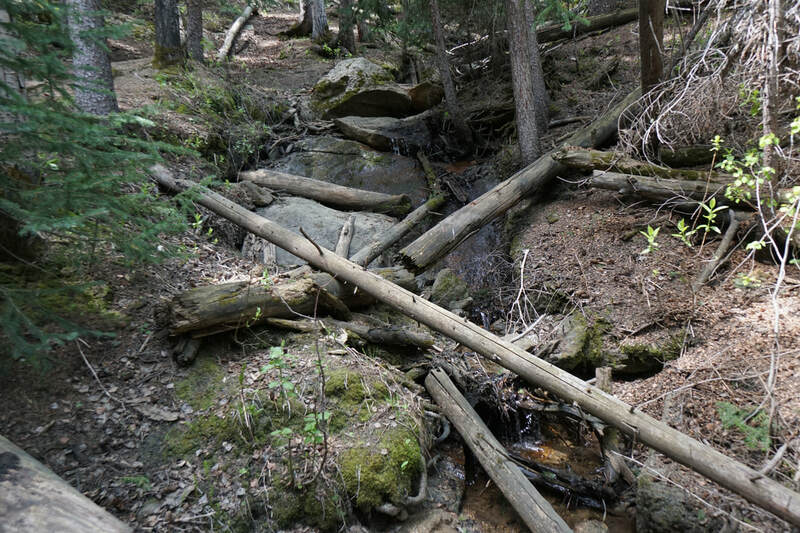 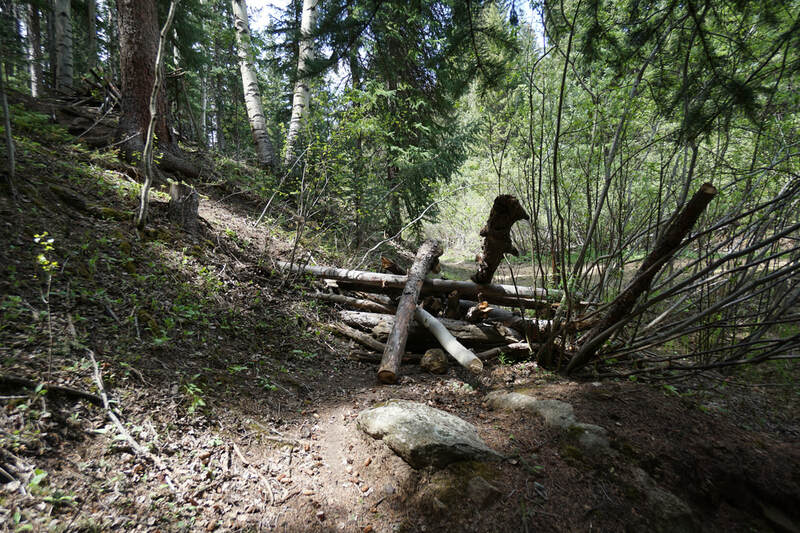 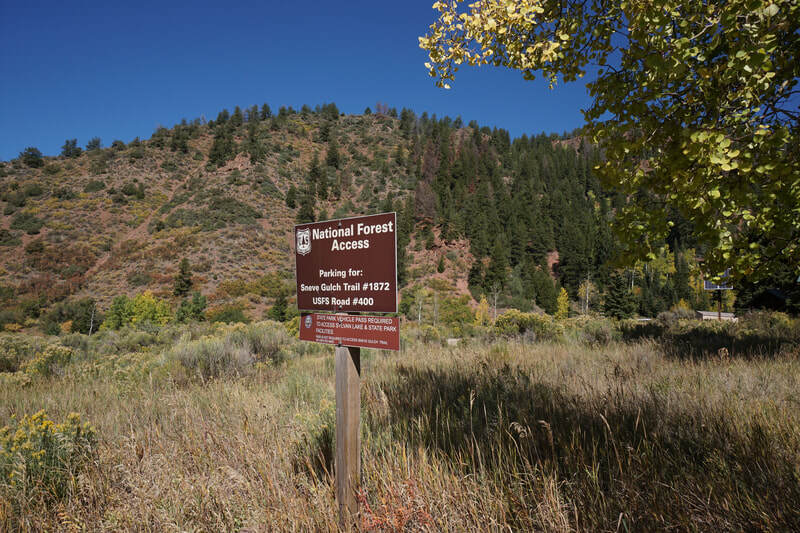 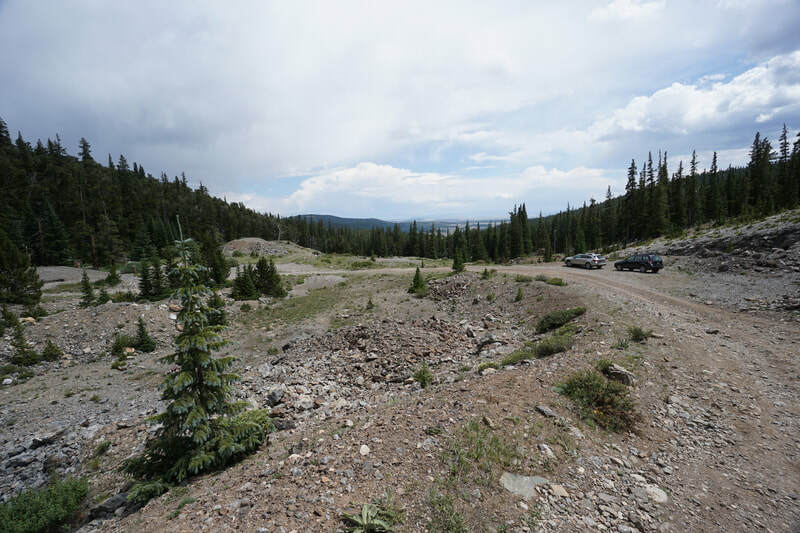 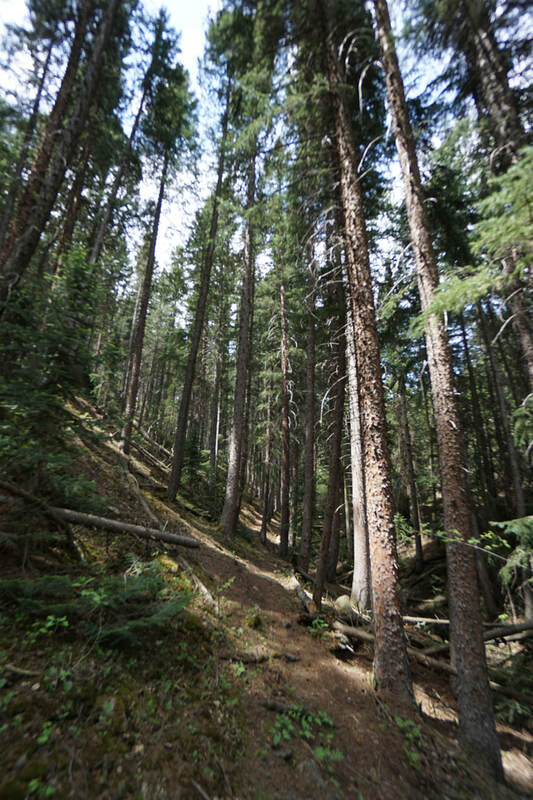 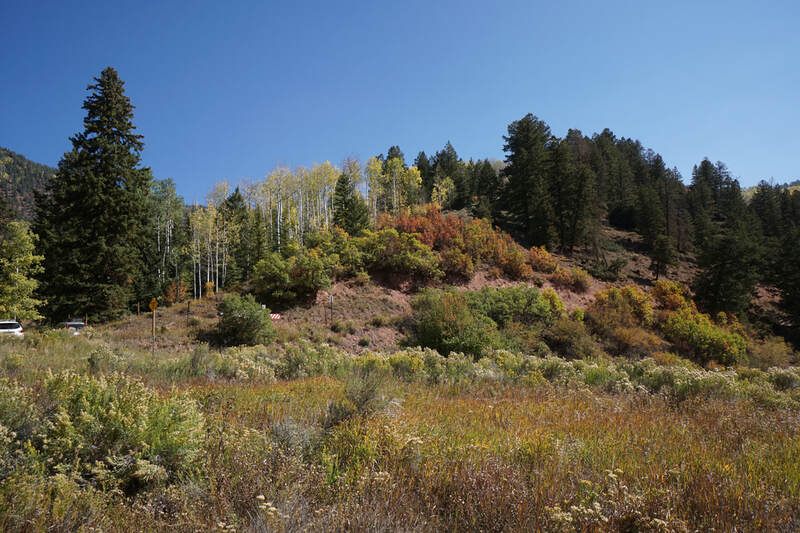 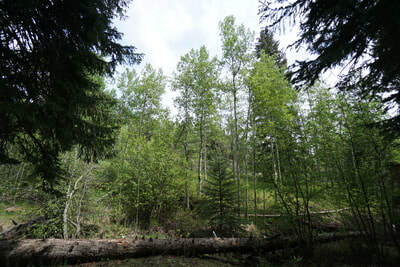 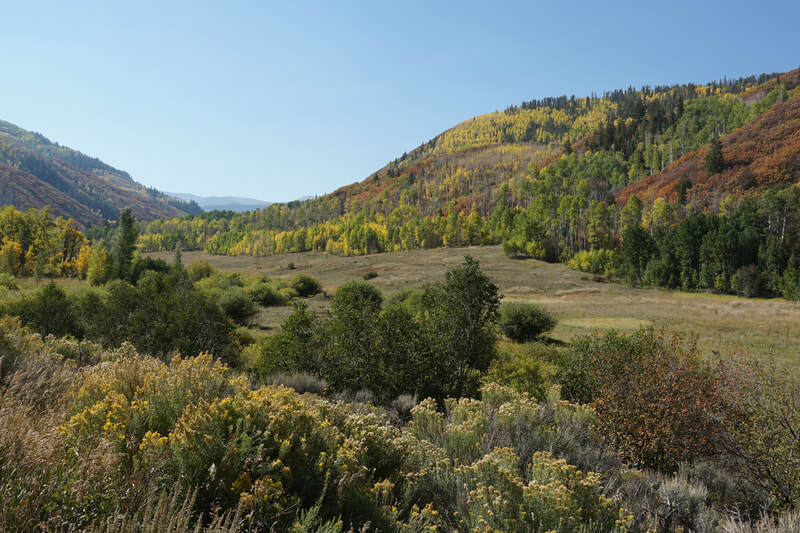 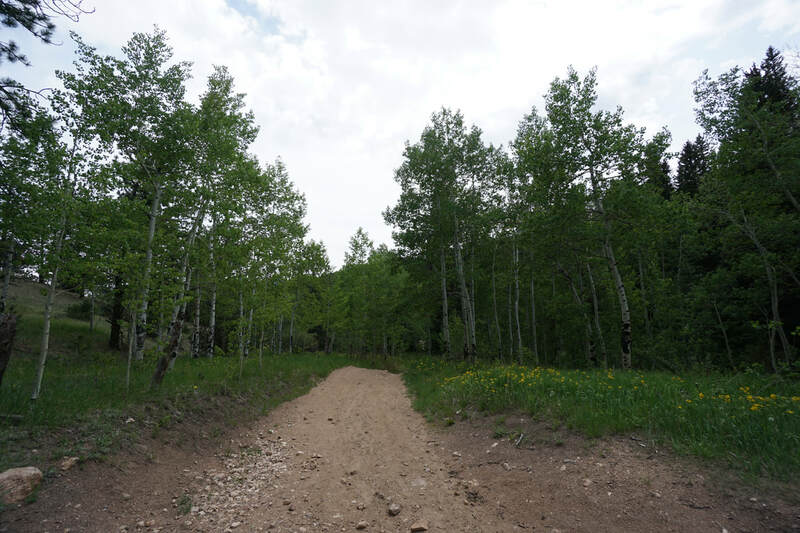 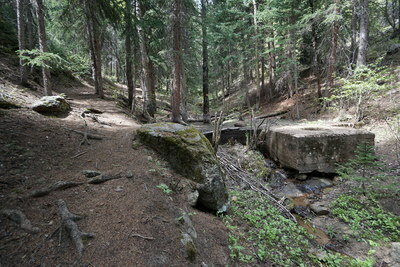 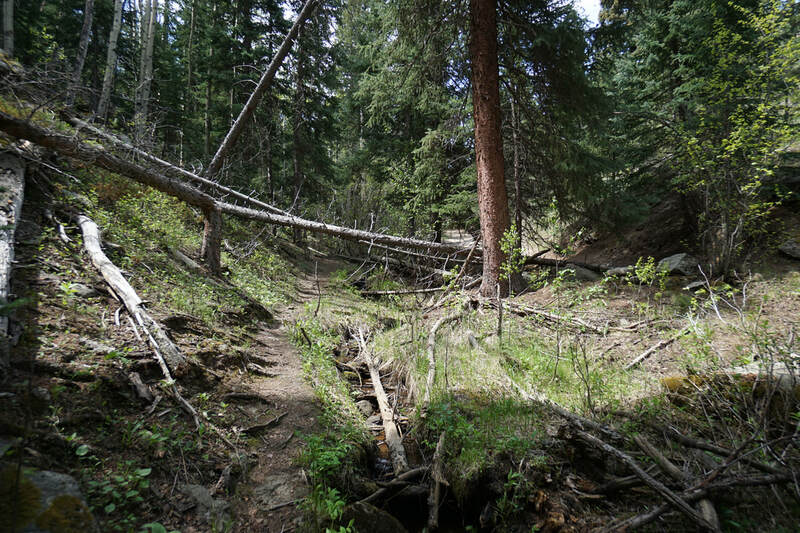 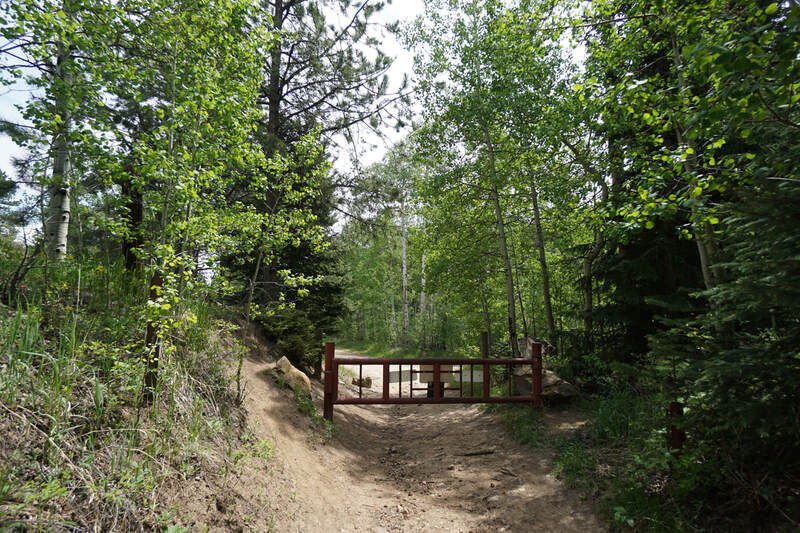 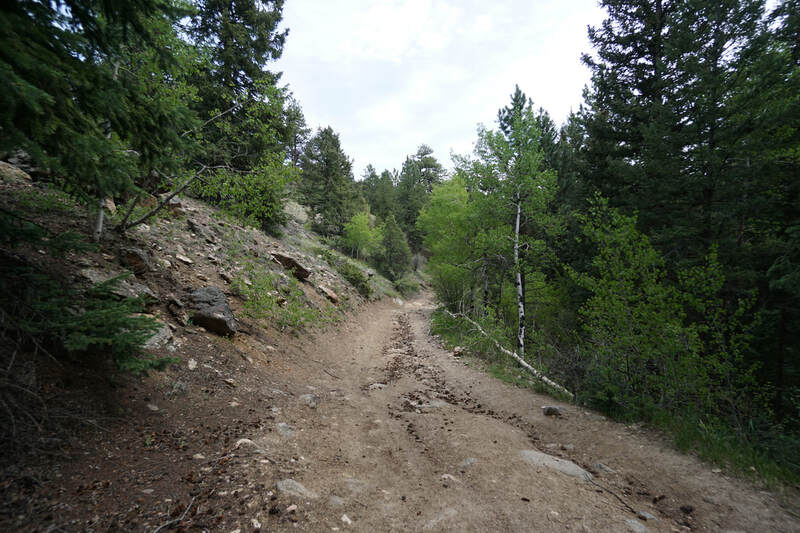 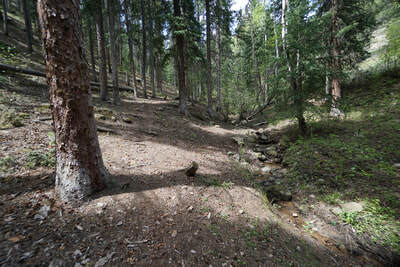 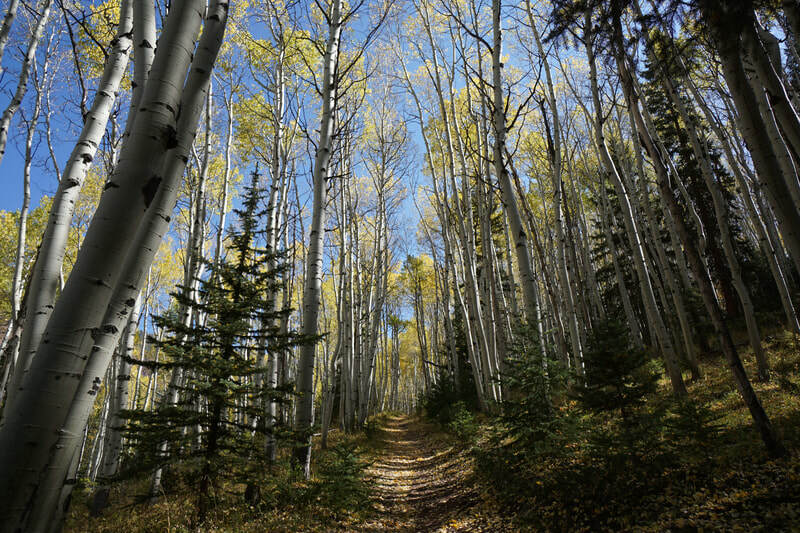 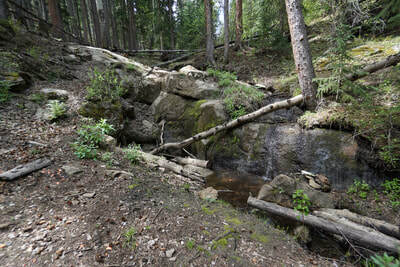 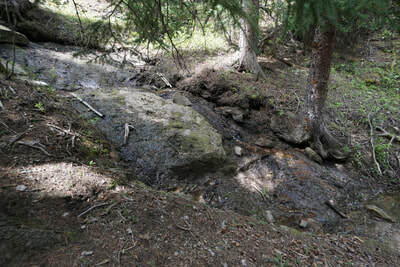 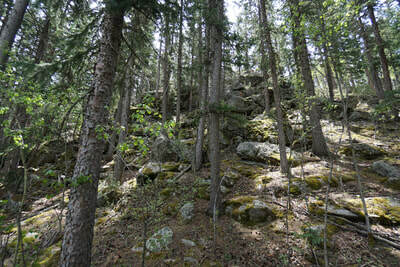 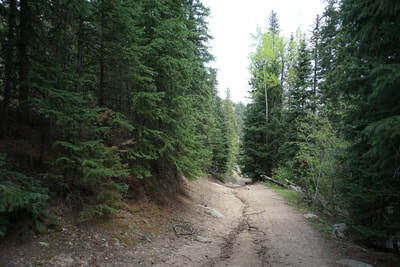 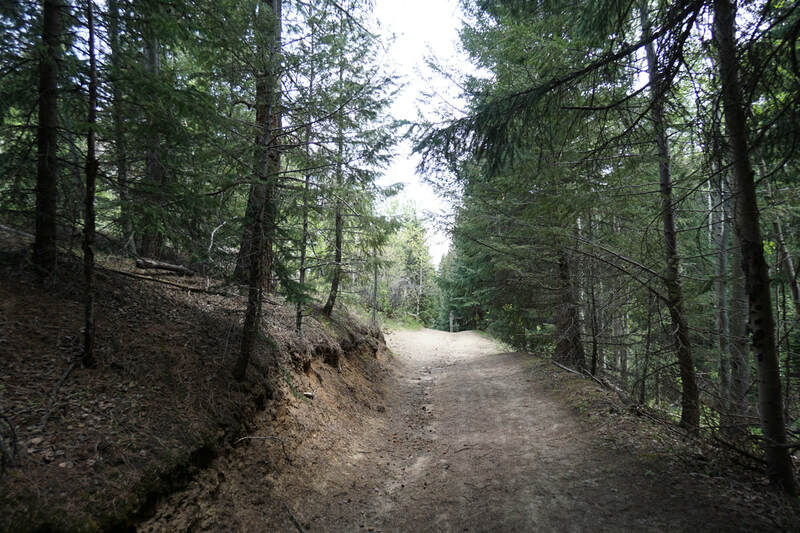 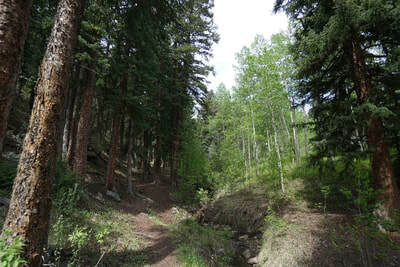 The Barbour Fork Trail starts south of Idaho Springs and climbs up the hillside eventually leading to the Devil’s Canyon Road system of trails. 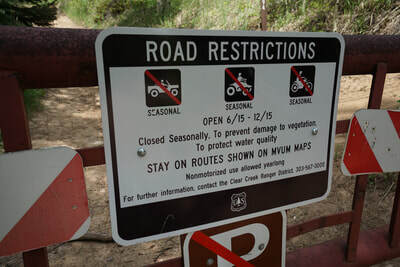 From June 15th through December 15th the area is a designated Off Highway Vehicle (OHV) area although hiking and biking is allowed. 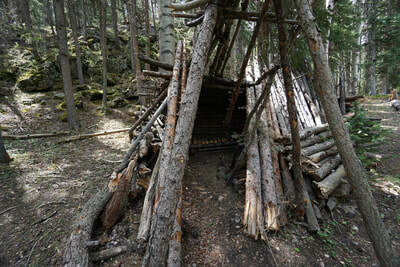 The rest of the year, the trails are open only to hiking and biking and provide a quiet seldom explored trail system. 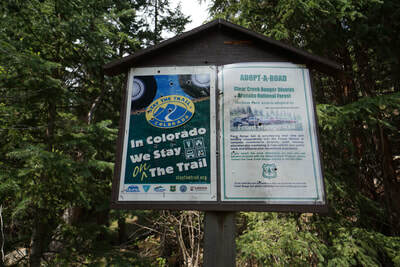 From the large parking area, you have two options; follow the narrow rocky dirt road, or follow the single track trail that follows Barbour Fork Creek. I recommend following the single track after the snow melts out or the road in the winter for snowshoeing. 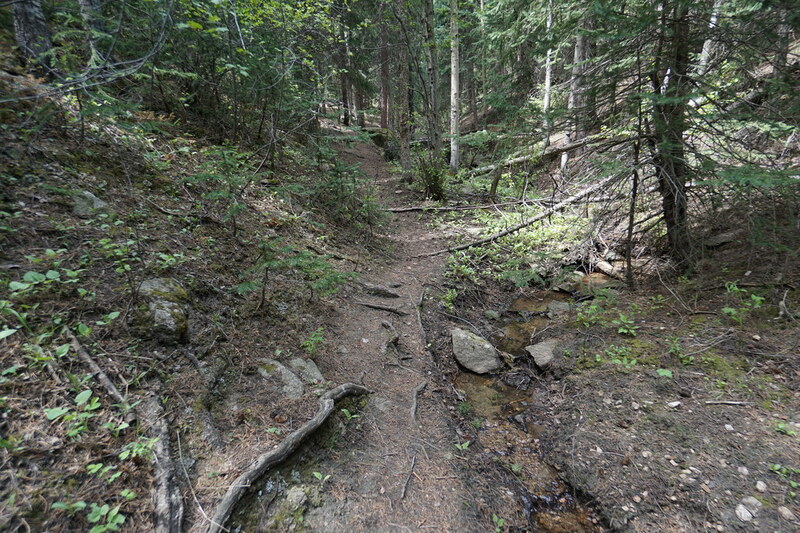 The single track trail follows the creek and is sometime a little hard to spot, but follow the creek and you’ll find your way. At about .4 miles, the trail will be blocked by logs, skirt around the logs (stopping at an interesting log shelter) and the trail meets up with the road. 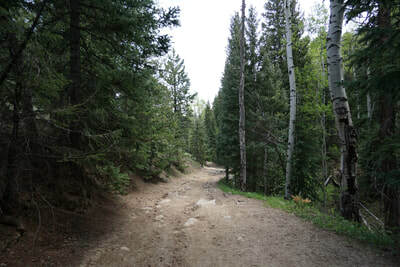 Back track about 20 feet and look for another single track on the left (west) side of the road. 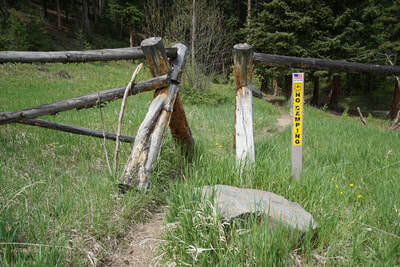 Follow this to hike parallel to the road. 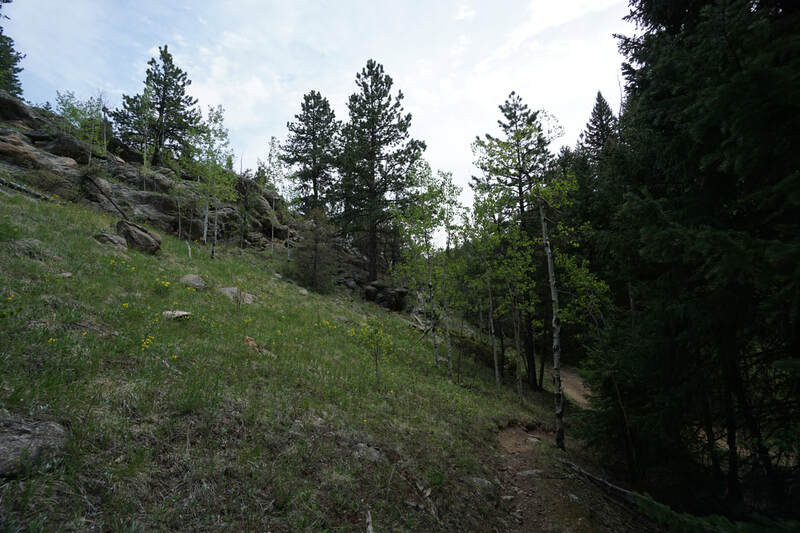 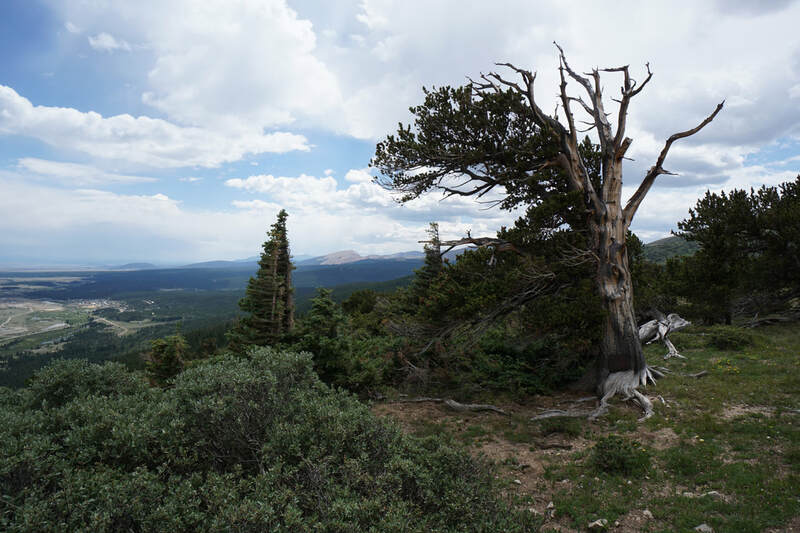 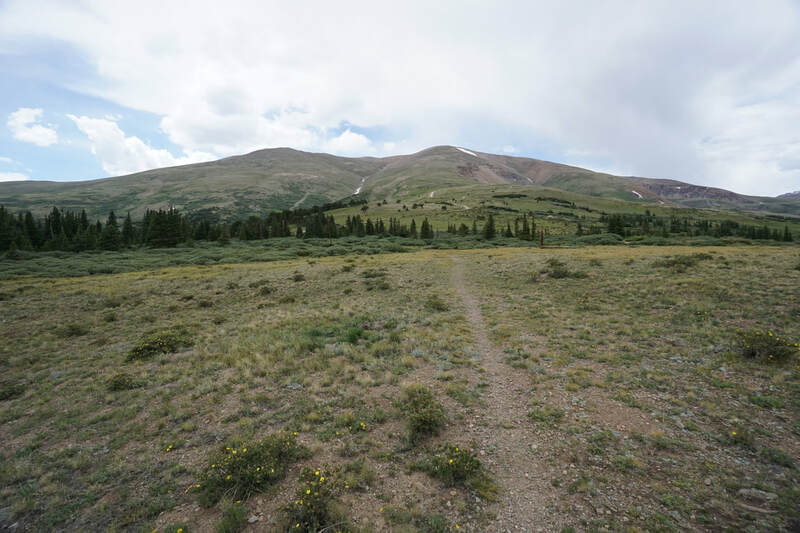 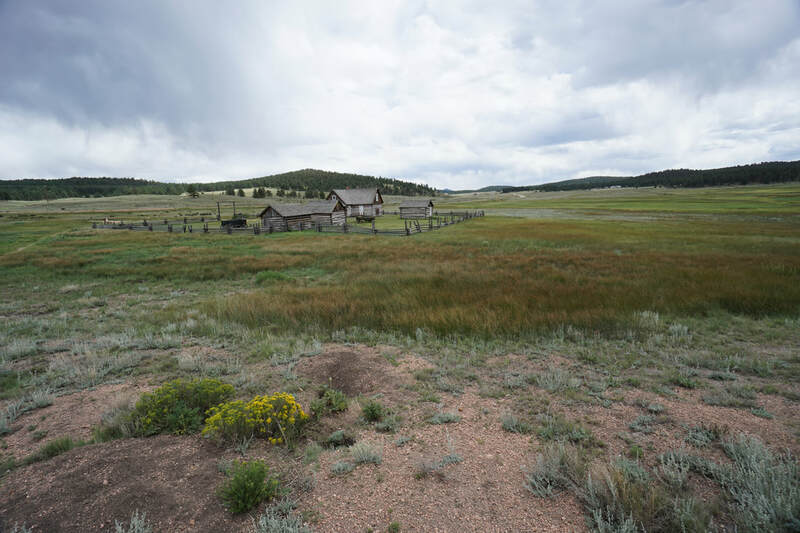 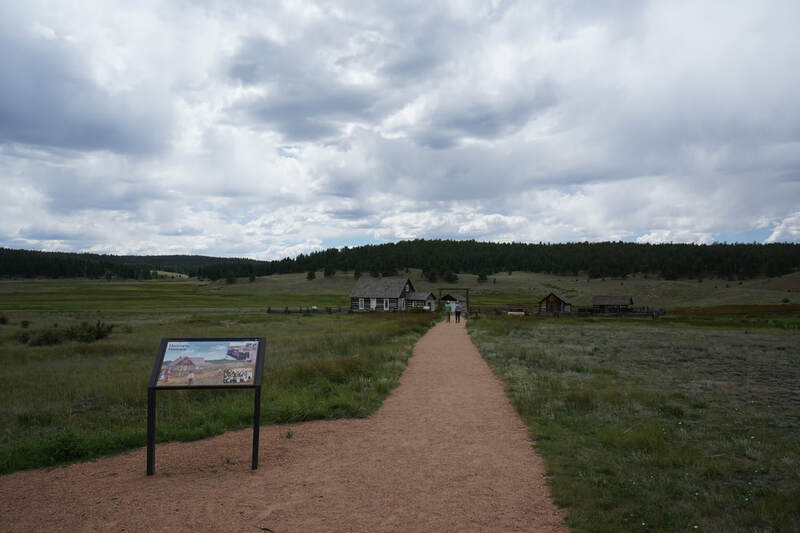 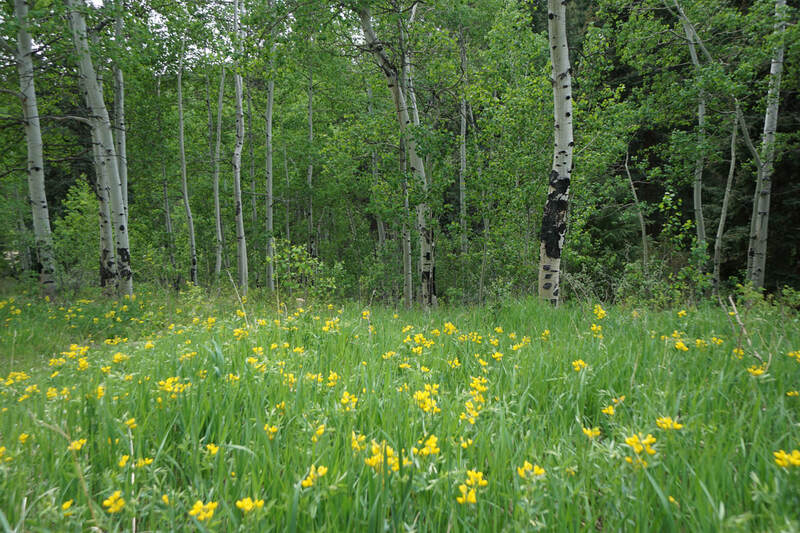 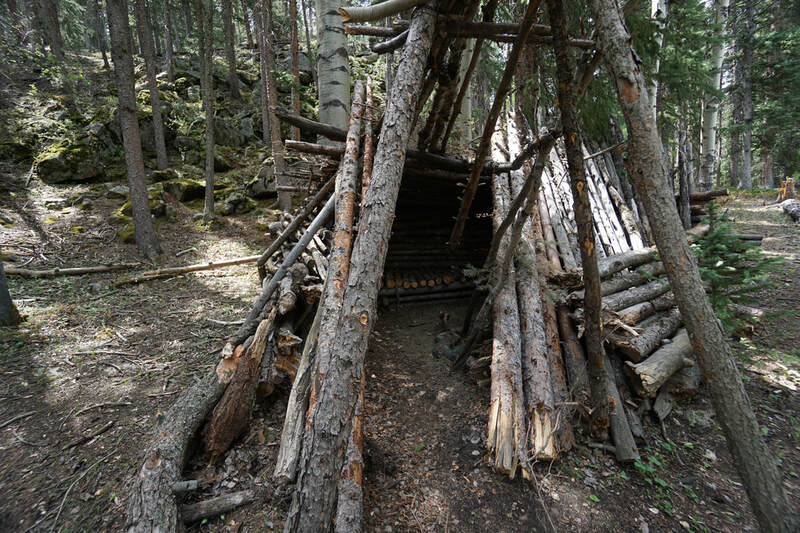 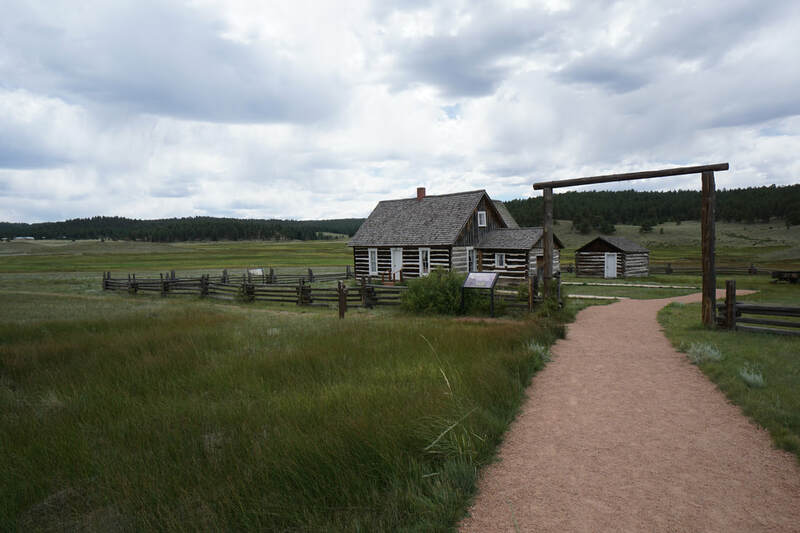 There is a meadow another mile up the trail and at the 2.2 mile mark an opening with views of…?